Do you need hurricane shutters for your home in the Navarre, Florida, area? If so, allow Majors Home Improvement to help. We are a full-service home improvement company that manufactures durable shutters that meet the Miami-Dade County Building Code requirements. Our shutters, which will be custom-configured to fit precisely on your home, provide the most cost-effective way to protect your windows, home, and family during a storm. Best of all, our hurricane shutters will be easy to maintain and simple to use in the event of inclement weather in Navarre, FL – no complicated setups required. Your new shutters will be installed with superb attention to detail by our team of factory-trained installers. Our team of craftsmen understands the importance of making sure these structures are installed precisely so that they function as they should – meaning, they will adequately protect your home and your family during a storm. And, since we believe our customers should have security for their investments, we proudly safeguard our shutters with a warranty covering the parts and labor. 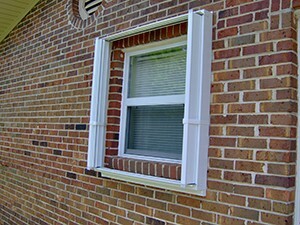 Turn to Majors Home Improvement when you need hurricane shutters in Navarre, FL, or a nearby city. Contact us today to learn more about our products and services. When you do, we’ll be happy to schedule your complimentary in-home design consultation at your convenience.